Grand Cayman is a paradise of natural beauty and an enticing escape for couples, families and groups. 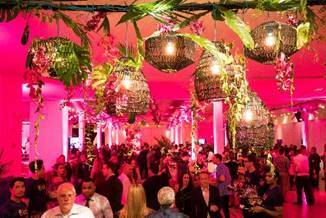 Debuted not even two years ago, the island’s newest lifestyle resort, Kimpton Seafire Resort + Spa, has delighted guests with its exceptional offerings in this already over-the-top relaxation destination. 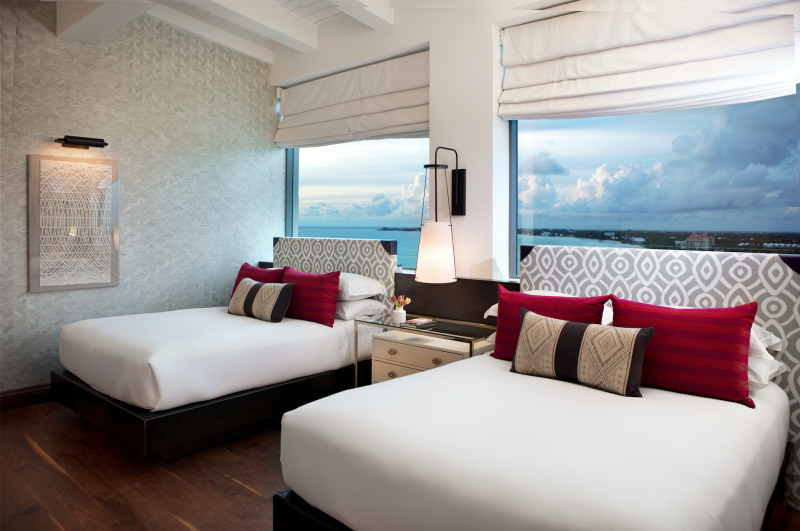 Seafire is a Grand Caymanian dream come true and its Presidential Penthouse is an extraordinary example of the suite life. 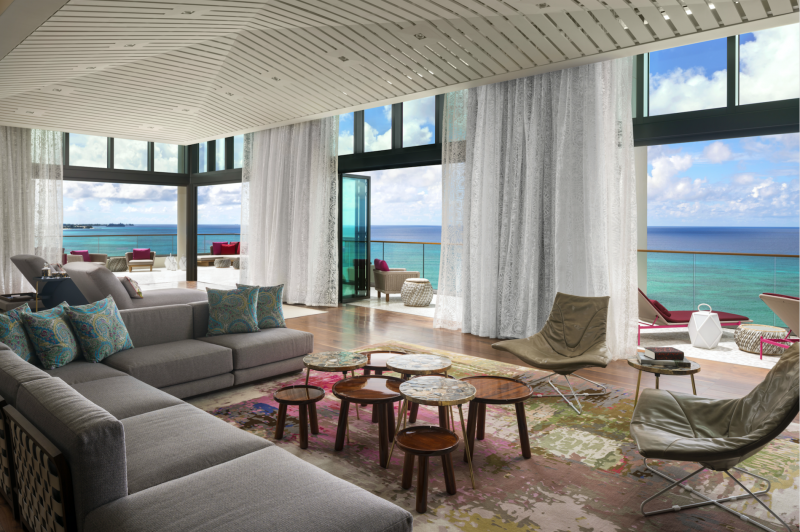 Seafire’s 4,700-square-foot tenth floor Presidential Suite offers the ultimate in luxury, with the most exceptional views on the island. 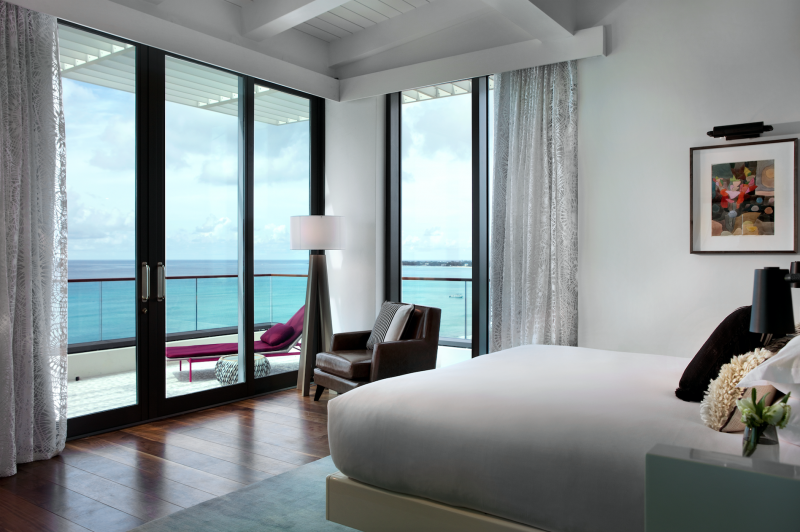 High ceilings and an open-plan design give guests the space and freedom they crave during their stay, with floor to ceiling windowed wall panels that can be opened completely onto the extensive wraparound balcony with spectacular views over Seven Mile Beach. 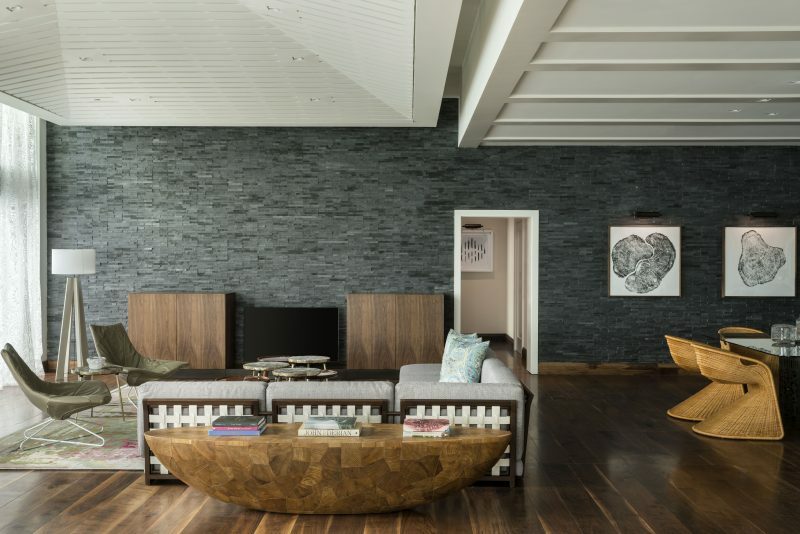 Part of the expansive living space, a custom-built open kitchen features stone faced cabinetry and designer appliances for high-end entertaining. A performance grill offers meal making opportunities outdoors as well. A hand drawn cutwork metal with glass top dining table can sit 12. 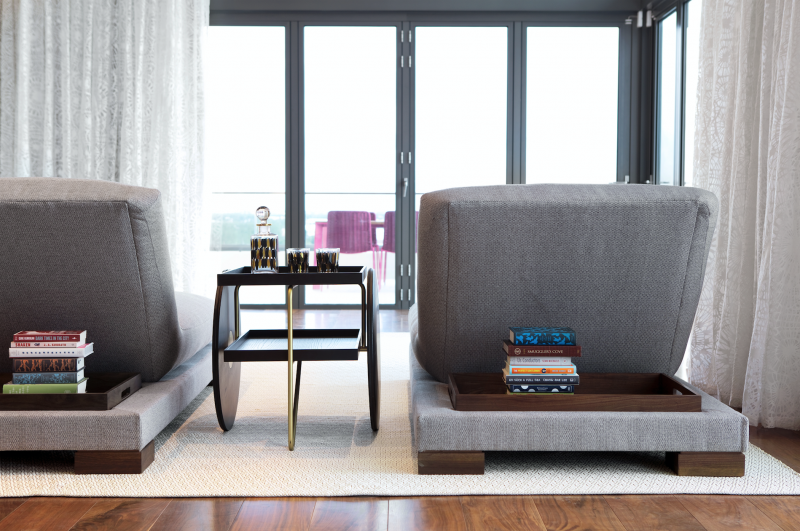 Indoor and outdoor areas become one when the doors open in accordion style. 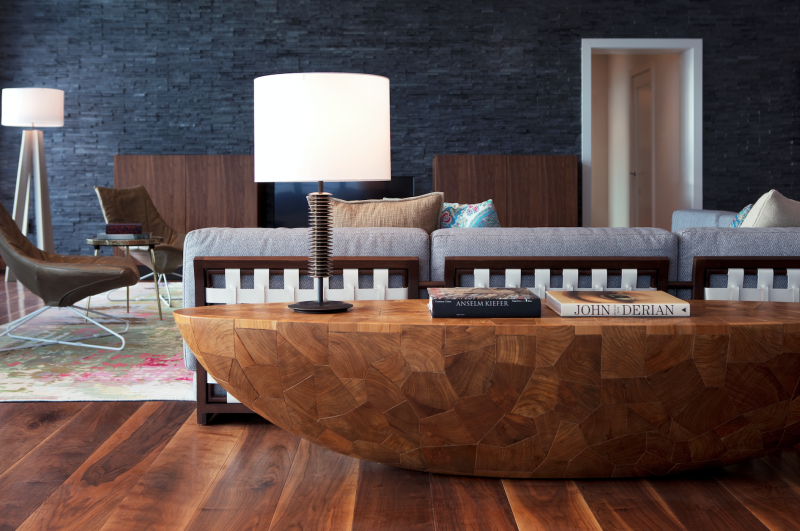 Sleek, custom-made furnishings hail from Spain and Italy, and range from a multi-sectional woven white leather sofa to fully upholstered chaise lounges with walnut accents. 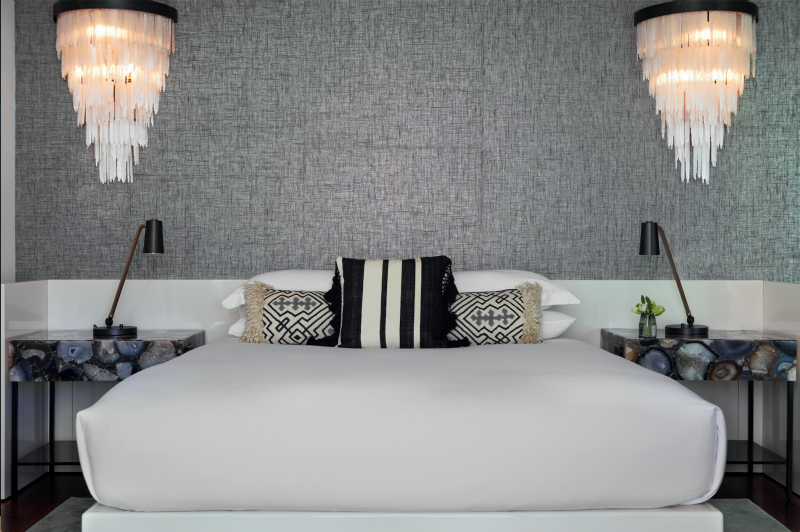 The Presidential Suite offers two uniquely designed ensuite bathrooms. 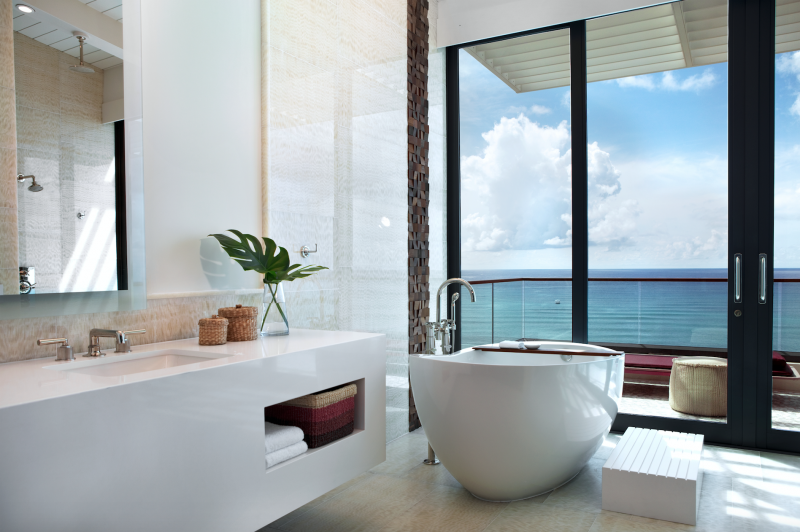 The master bathroom, wrapped by a private deck, is designed with white onyx, with a floating tub with views to the sea. 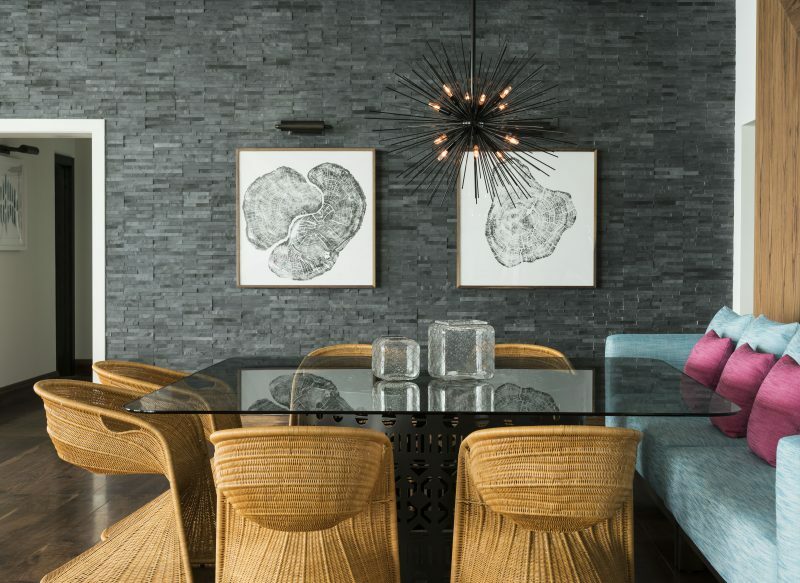 The overall suite design is high contrast with black stone vibrantly blending with pink, blue and yellow touches and contemporary furniture and artwork, with high ceilings, large windows and warm lighting. 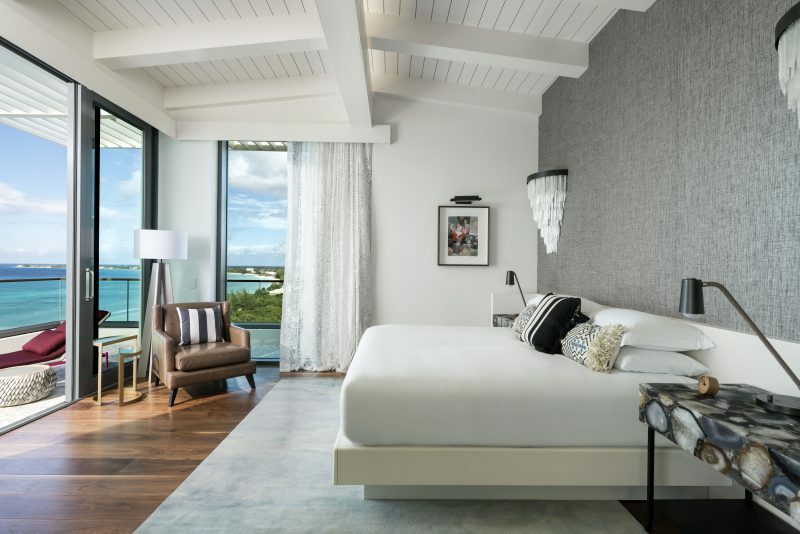 Resort amenities include The Spa at Seafire with its signature plunge pool; a 1,770-square-foot fitness center with ocean views while you workout with the latest equipment; the Seafire Supply Co. resort retail store; and multiple delectable on-site dining options. Guests will take advantage of the ocean with available water sports toys, including kayaks, standing paddle boards, water tricycles, floating rafts, and sail boats. Snorkeling gear is available from Seafire’s water sports experts, Red Sail Sports. And daily specialty fitness classes — like beach yoga, Boxfit, paddle board yoga, and Beachfit — are included in the resort’s offerings.